The scale ended up being .1, set, then .45, 1/2 of .9, set. 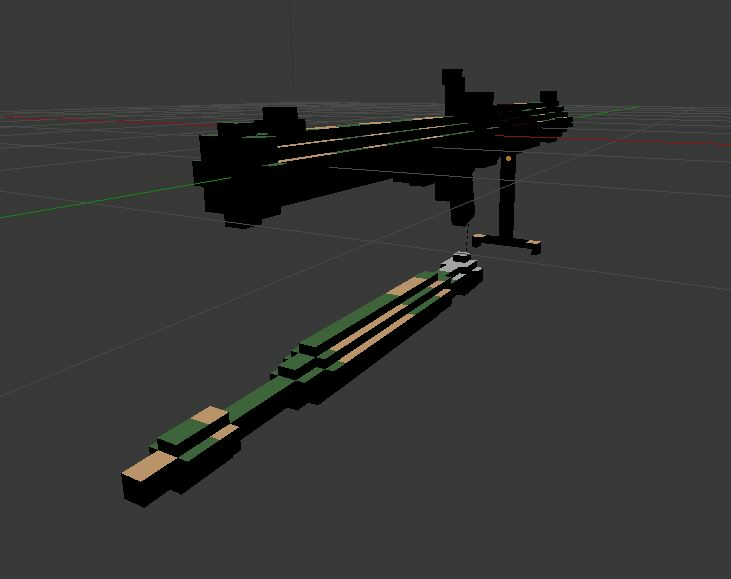 The main body of the gun is at 1 m.
placed at it's point of rotation for animation. I placed the missile poRotation at it's tail end. This may not be optimal. Maybe this design is more complex than what you want. There will be two other versions following this one. 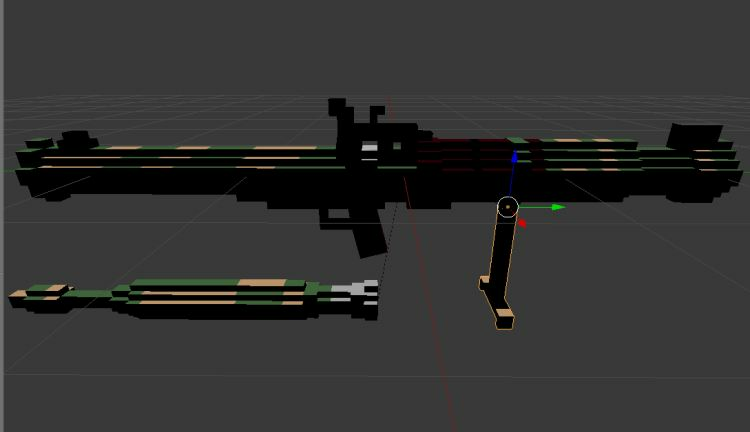 Also, I designed the trigger handle to be tweaked, which I did.